In addition to junk removal, hauling, and clean up, R&G Hauling also provides soft demolition for contractors, business owners, and DIYers. We always work professionally and efficiently and strive to make our customers feel comfortable with us on their property. We pay close attention to detail to provide the best service available at competitive prices. With over 20 years of experience and a commitment to customer service, we have served thousands of satisfied customers in Pasadena, Monrovia, Altadena, Glendale, Burbank, Arcadia, San Dimas, and surrounding cities. R&G Hauling provides reliable and efficient soft (non-structural) demolition services for small construction projects, such as bathroom and kitchen remodels. Our soft demo projects have included breaking down cabinets, removing countertops, ripping up carpet, breaking up tile floors, tearing down fences, and more. Following every light demo project, we haul away the old building materials as well as any fixtures, furniture, appliances, or other items that the client wants removed. We also sweep the area before we consider the job complete. Our team of experienced haulers works very carefully and takes the necessary precautions not to damage other furniture, walls, or floors during the demolition. 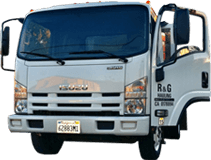 R&G Hauling is a fully insured, family-owned and operated business based in Monrovia. We pride ourselves on offering exceptional customer service and accurate estimates for soft demolition and hauling services. 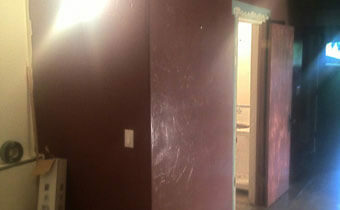 We are available Monday through Sunday from 7:00am to 7:00pm and can provide a free estimate over the phone or on site. Call us today at (626) 497-8271. Our light demolition services are available throughout Pasadena, Arcadia, Altadena, Glendora, Monrovia, San Dimas, Alhambra, Sierra Madre, South Pasadena, Duarte, Azusa and surrounding areas. 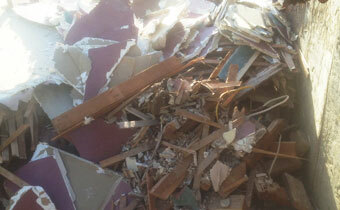 Rob is the best answer to your refuse issues in the San Gabriel Valley. He is punctual, friendly and always available. I highly recommend him for all your hauling needs.